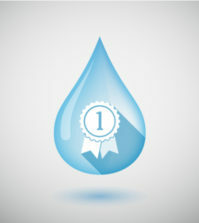 Eastern Municipal Water District (EMWD) is marking the 10th year of it’s annual “Write-Off” contest in collaboration with Rancho California Water District (RCWD) and the middle schools within the two agencies’ service areas. The collaboration has just released the latest in its series of water education books written and illustrated by area tweens and young teens. 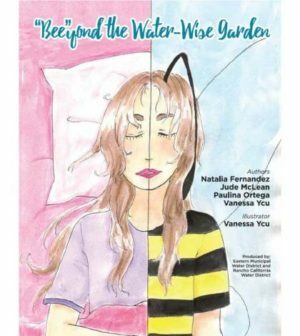 The newest book, ’Bee’yond the Water Wise Garden” was written by Natalia Fernandez, Jude McLean, Paulina Ortega and Vanessa Ycu of Vista Verde Middle School in the Val Verde Unified School District. The full-color book illustrated by Ycu. “’Bee’yond the Water-Wise Garden tells the story of a young girl named Alice who is frightened by. bees and tries to scare them off by spraying them with water. 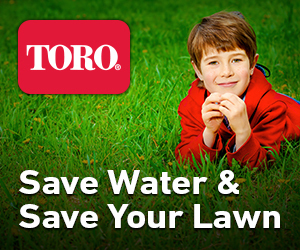 Her father works to educate her on the importance of the bees and saving water. That night, Alice dreams she is a bee and gains a whole new perspective on the role that bees play in pollinating plants and food crops. She also learns the value of water conservation. EMWD is classroom curriculum that meets Common Core standards will be developed with “’Bee’yond the Water-Wise Garden” and be introduced as part of EMWD’s classroom education program in the 2019-20 school year. 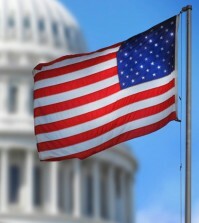 Common Core is the State Standards Initiative to prepare America’s students for college and careers. The “’Bee’yond” book will be used in the third through fifth grade levels, while grades Kindergarten through second will incorporate books from previous years’ contests. EMWD works to help ensure a healthy bee population within its footprint. Bees are responsible for the pollination of about $15 billion worth of crops each year in the United States, including about 130 different varieties of fruits and vegetables. A healthy bee population ensures more abundant crops and many high-value crops rely on commercial beekeeping operations. The Riverside County EMWD encourages customers who encounter a beehive in their water meter box to contact the district. EMWD contracts with a local beekeeping company to have the hives removed while working to preserve the bees so they may be used for pollination and educational purposes. The winners of the annual “Write-Off” contest are selected by EMWD and RCWD staff and are used in grade-appropriate curriculum through EMWD’s and RCWD’s education programs. The theme for the 2018-19 “Write-Off” contest will highlight the importance of maintaining a healthy sewer system. Stories are due by November 16, 2018. If you want assistance in removing a beehive in your water meter box call EMWD at: 951-928-3777 or 800-426-3693. “’Bee’yond the Water-Wise Garden” and all of EMWD’s educational books are available as eBooks on EMWD’s website at www.emwd.org/eBooks. Information, contest rules and guidelines for this year’s Write-Off Contest can be found at: https://www.emwd.org/education/annual-contests/write-off-contest. Good luck to all participating middle school students. 2018 California Water News Daily | All Rights Reserved.